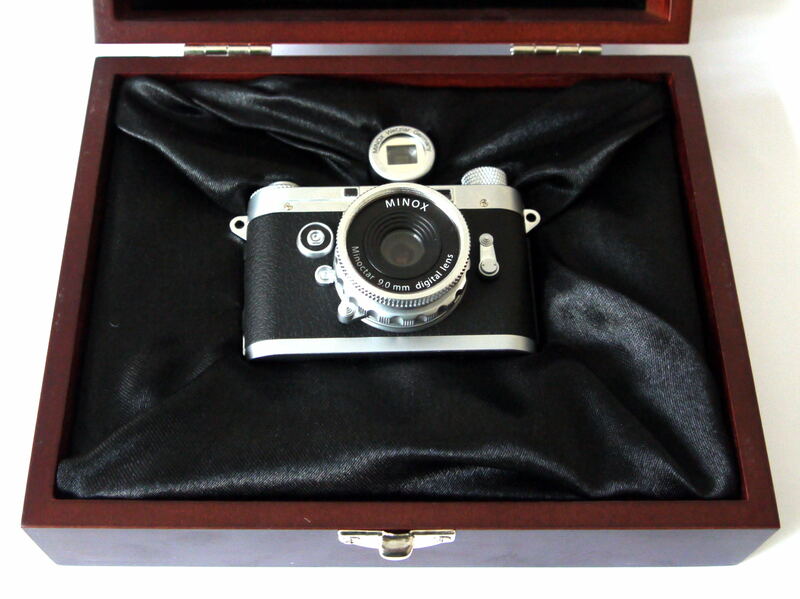 We review the miniature classic camera replica from Minox, designed to look like a traditional camera. 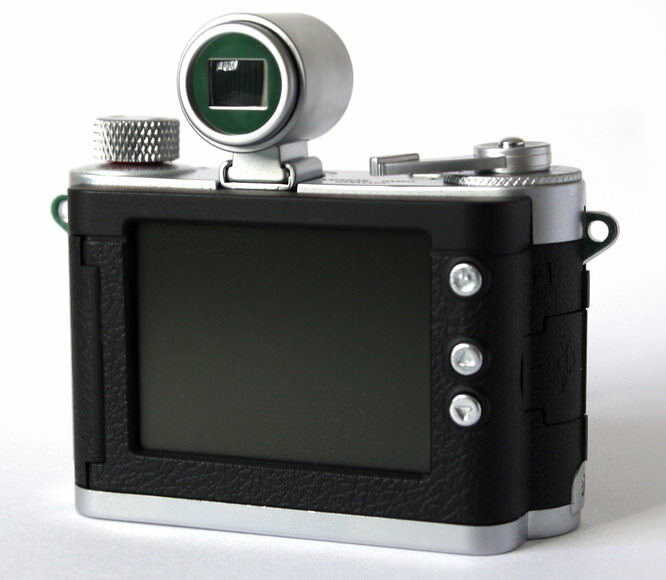 The Minox Digital Classic Camera (DCC) 5.1 is a 1:3 digital replica of an old 1950s German Rangefinder beginning with the letter L, yes, Leica. Over the years it's changed a little, increasing the size of the screen, and moves the optical viewfinder to the mini hot shoe. While the camera may look like it has a number of useful external controls, such as a film wind on, self-timer switch, shutter speed dial and another dial on the top left, these are for effect only and don't actually do anything. They do move at least so provide something to play with. The back is where you find the main controls that actually do something, the on/off switch, an up and down button and the shutter release controlling the main functions and menus. The ring around the lens does let you set the focus with three settings: inifinite, 1m, and 0.5 metres. The bottom features a smaller than normal tripod socket - for use with the optional flash unit and not for use with your own tripod (although a tripod adapter is available). The camera charges the battery through the USB cable with the battery inside the camera. Here are real world sample photos, as well as studio test shots from the camera taken in a variety of situations, click to view larger versions or click "Hi Res" to view full size originals. You can add your own images and review in the equipment database. ISO is set at ISO100 by the camera regardless of lighting conditions. White Balance options are: Auto, Daylight, Cloudy, Lamp, Tungsten, Night, however auto white balance does a reasonable job the majority of the time. Video is recorded as 320x240 resolution, at 30fps however this is without sound. 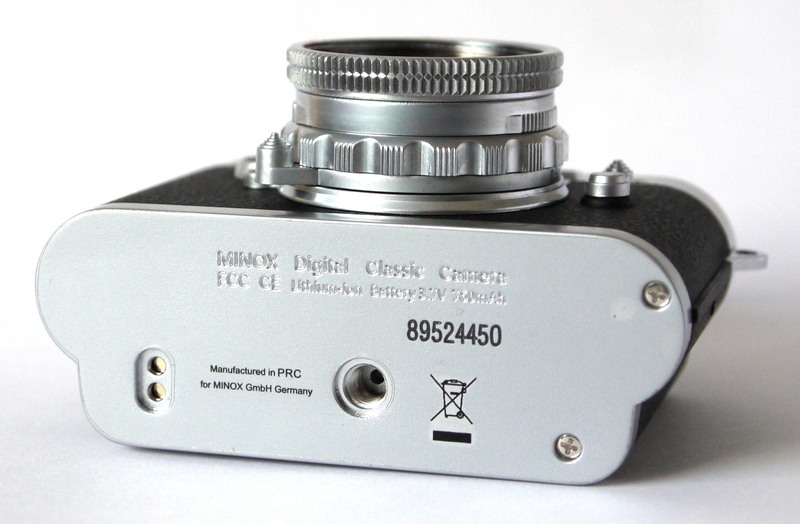 The Minox DCC 5.1 is somewhat unique as a replica of an old classic camera, and at £139 is reasonable value for money, as a real digital Leica will cost you much closer to £5000. 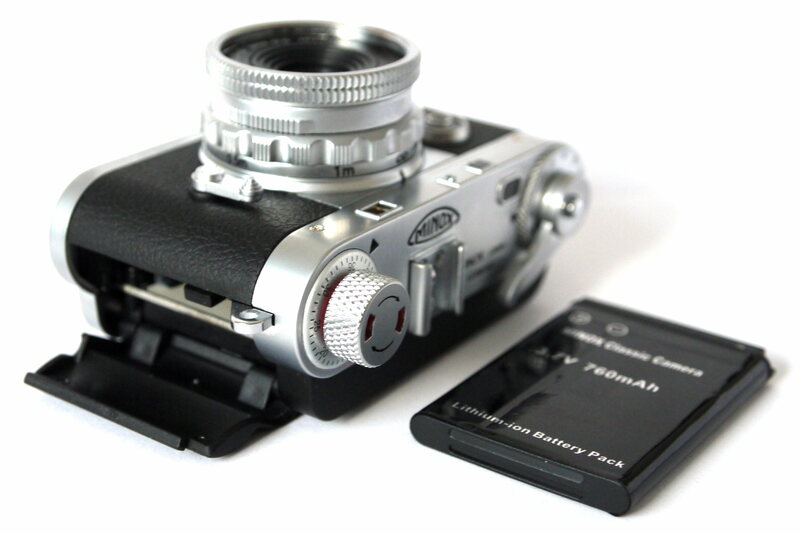 Other digital cameras similar in appearance to classic cameras are the Fujifilm X100, X10, X-Pro1. Alternatively if you just want a compact and stylish digital camera then something like the Pentax Optio S1 is available in chrome for around £69 and would offer better image quality. 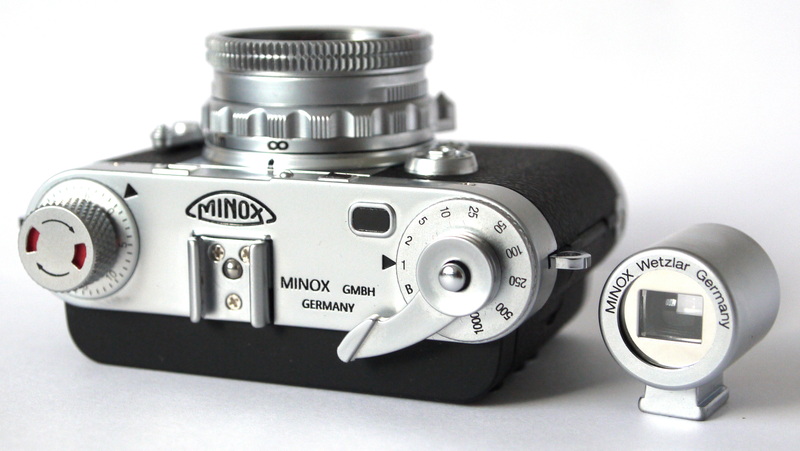 With a unique design the Minox DCC 5.1 has always intrigued me, however with a 42mm equivalent lens and lack of flash you really need to buy the wide angle adapter and optional flash to make it more versatile. It's image quality isn't the best, but the lens appears to be quite sharp so under ideal conditions results can be reasonable and have a certain "look". The presentation box makes this camera more of a novelty collectors item rather than an everyday camera. If the external controls on the camera were functional then this might be a much more fun camera to use. 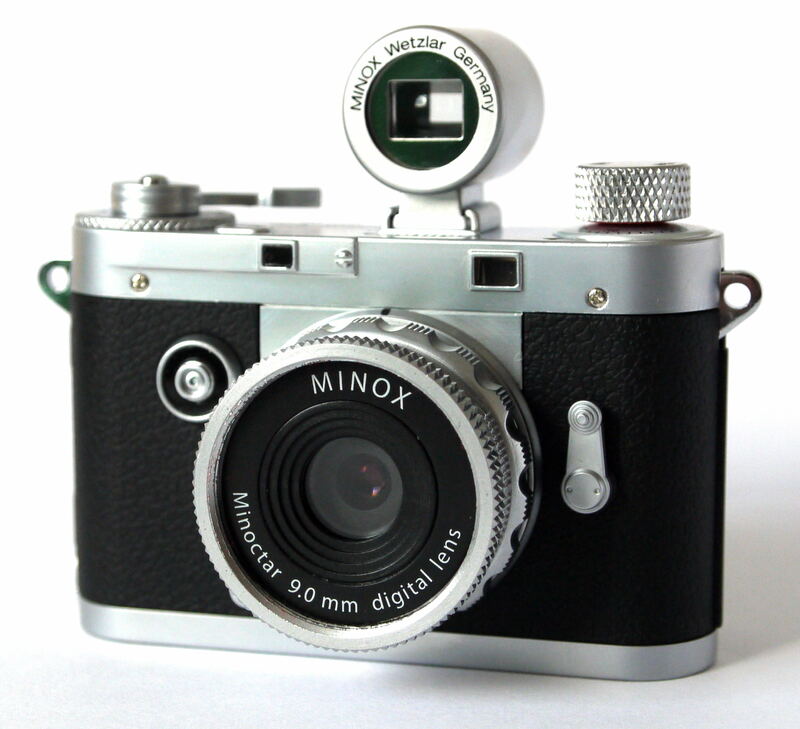 The Minox DCC 5.1MP is available from HarrisonCameras - with £10 off for ePHOTOzine readers, using special promotion code EPZ10. 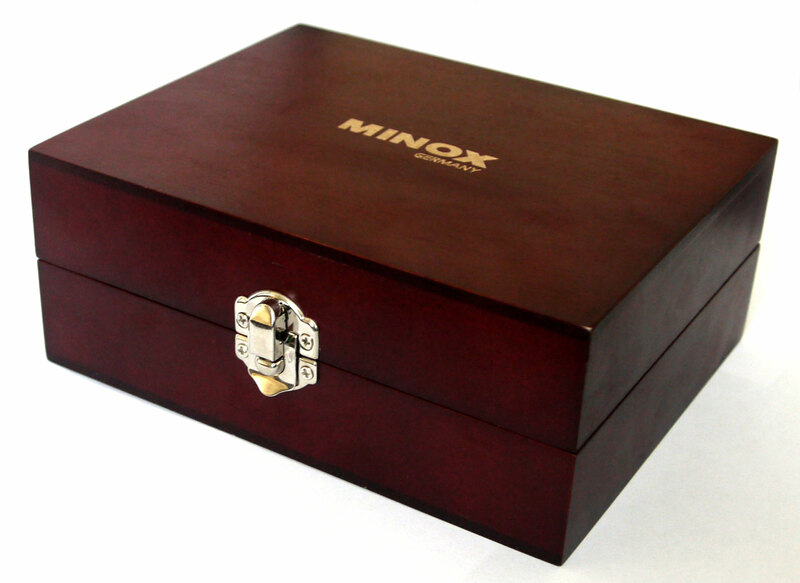 Box Contents Minox Digital Classic Camera DCC 5.1, Lithium-ion battery, recharger, USB cable, and user manual. For those who don't know "PRC" means China!. I find it prone to camera shake even in good light. I was GIVEN FREE a FILM Minox 35 GT and got it working yesterday with a replacement PX27 6 Volt Alkalie battery as the Mercury one was dead -- and developed the film and got good results ! [quote]I was GIVEN FREE a FILM Minox 35 GT and got it working yesterday with a replacement PX27 6 Volt Alkalie battery as the Mercury one was dead -- and developed the film and got good results ! [/quote] I have one of these too. A great little camera. Quote:I was GIVEN FREE a FILM Minox 35 GT and got it working yesterday with a replacement PX27 6 Volt Alkalie battery as the Mercury one was dead -- and developed the film and got good results ! I have one of these too. A great little camera.